The Cal Spas story began over 34 years ago at a crowded county fair. The year was 1978 and California Acrylic Industries was a Pomona, California-based pool builder searching for a way to exhibit a large variety of pool designs in a small space. To solve this dilemma, the company created smaller versions of its formed acrylic pools and put them on display for customers. 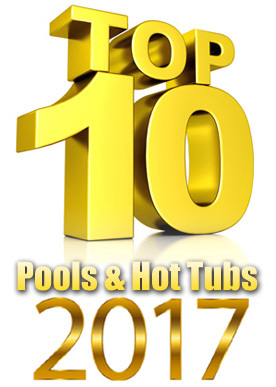 The miniature pools immediately sparked interest and the company began to receive special requests for acrylic hot tubs. A year later, with the company’s hot tub business growing, California Acrylic Industries took a leap of faith. The company stopped building pools and focused full-time on the hot tub business. Cal Spas was born. 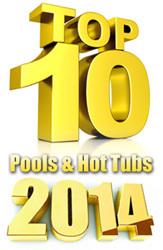 Cal Spas began with a small selection of hot tubs but gradually grew in popularity. Within a few short years, Cal Spas began its nationwide distribution. Cal Spas eventually outgrew its 10,000 square foot manufacturing facility and moved the company headquarters to its current 1-million square foot location in Pomona, California. In 1995, Cal Spas embraced a new direction and established its mission to grow Cal Spas into a global leader in luxurious outdoor living products. Imagine your own peaceful, private escape filled with pure relaxation. Now imagine one that also benefits your lifestyle and promotes good health. 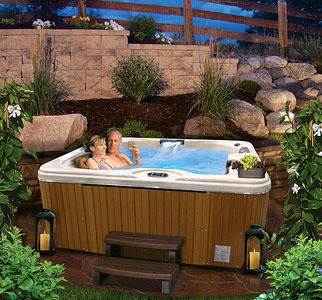 Cal Spas hot tubs are designed with your complete relaxation and rejuvenation in mind. In addition to providing instant stress relief, there are a number of lifestyle and health benefits associated with regular hot tub use. Overall Well-Being - Unwind in the tranquility of soothing hot water as the therapeutic heat raises your body temperature, bolsters the immune system and triggers endorphins – the body’s natural pain blockers. 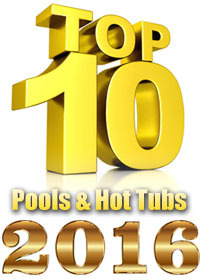 Soothing Pain Relief - When is comes to treating sore muscles, no other hot tub manufacturer compares to Cal Spas. 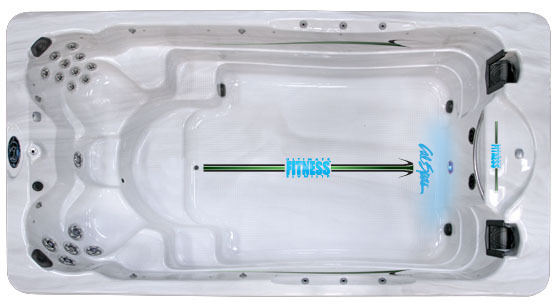 Our hot tubs are designed to deliver targeted hydrotherapy to muscle groups to effectively relieve pain. Arthritis Relief - Water buoyancy greatly relieves joints and muscles of constant pressure. According to the Arthritis Foundation, doctors recommend soaking in warm water before starting your day to help relieve the pain associated with arthritis. Additionally, warm water temporarily relieves stiffness and joint aches, increasing flexibility. Improved Sleep - Hydrotherapy before bedtime may assist in getting a more restful night of sleep. The National Sleep Foundation recommends soaking in hot water before sleeping due to the associated calming effects. When exiting the spa, the body's internal thermostat drops and signals the mind that it is time to sleep. Both effects result in a truly refreshed morning without the grogginess that sleep aids can leave behind. Quality Time - Reconnect with friends and family in the most relaxing environment imaginable: Soaking in a hot tub at the heart of your Home Resort. Swap stories with friends while invigorating jets deliver the massage of a lifetime. Watch as the kids frolic under an illuminated waterfall. Light up the night with romantic LED lights for more intimate encounters. Lasting Value - When you bring home a Cal Spas hot tub, you create a daily oasis that you and your family can enjoy any time of the year. 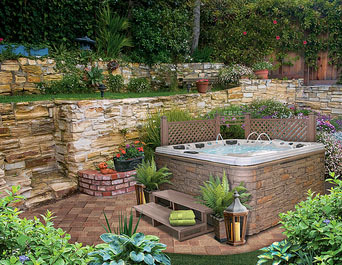 Not only is it a functional entertainment source, but the sleek design and smooth edges make your spa the centerpiece in your backyard or garden. 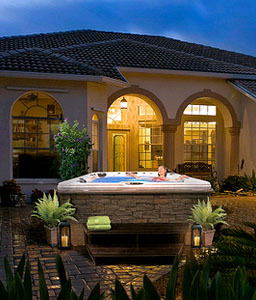 Best of all, a Cal Spas hot tub may increase your property value without increasing your property taxes. Welcome Cal Spas into your home and start enjoying these benefits and more today! Are you looking to improve your health and overall quality of life without breaking the bank? Then the new line of Cal Spas Swim Spas are perfect for you! With powerful XP3 Swim Jet Pumps, the new Cal Spas Swim Spas offer a complete at-home aquatic gym at a budget-friendly prices. To enhance your aquatic workouts, many of the the Swim Spas features fitness anchors for Exercise Equipment and an optional Tether Bar Kit. Join the Cal Spas Ultimate Fitness Revolution with the New Cal Spas Swim Spas lines today - and feel the difference in your everyday life! A lifetime of pleasure is assured when a product carries the Cal Spas name.